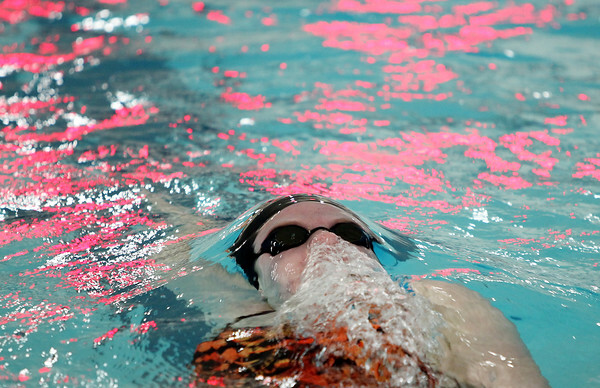 Beverly's Astrid Swensen just breaks the surface with a cloud of air bubbles while swimming the backstroke leg of the 200 Individual Medley against Marblehead at the Lynch/van Otterloo YMCA in Marblehead on Tuesday afternoon. DAVID LE/Staff photo. 1/13/15.